A Southern California District Judge denied on November 27 a motion sought by the U.S. Securities and Exchange Commission (SEC), to block an ICO event by a company named Blockvest that was set to go live on December 1st, 2018. The judge found that the SEC was not able to prove that tokens sold during the pre-ICO that took place earlier this year, were offered to external investors with promises to make a profit out of Blockvest efforts. A judge from San Diego has denied on November 27 a U.S. Security and Exchange Commission (SEC) motion for a preliminary injunction against Blockvest, in what appears to be the first federal decision where the defendant is a digital asset offered during an ICO. While the ruling could represent a big setback for the SEC, it is unlikely to affect its approach to the ICO market. The court decision document states that Gonzalo Curiel, the Judge in charge of the case at the Southern District of California, has previously granted twice an SEC’s ex parte request for a temporary restraining order (TRO) and freeze of assets while granting expedited discovery against Blockvest in October and early November. 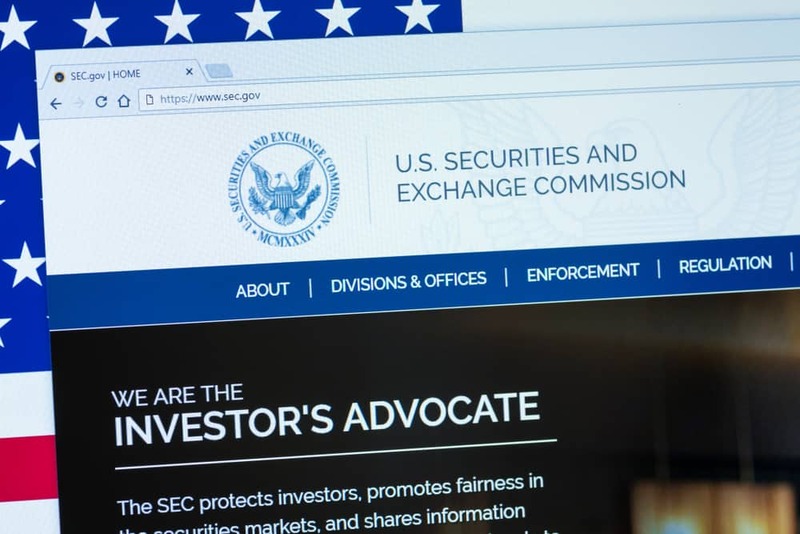 After a series of hearings, and while taking into account court briefs and supporting documentation from both parties, Judge Curiel determined that the SEC has failed to show that investors who bought into Blockvest ICO, were buying an “investment contract” classified a security under the Securities Act. As of press time, the SEC has made no comments on the Judge’s decision. In its complaint, the SEC claimed that the defendants (Blockvest and Reginald Buddy Ringlod III a.k.a Rasool Abdul Rahim El founder of Blockvest) falsely promoted their ICO as being registered with, and approved by the SEC. Defendants have also used the SEC seal on their website without its prior authorization, approval, or endorsement. In its defense response, Blockvest attorneys proclaimed that the company haven’t sold BLV tokens to the public during its Pre-ICO, but did use those tokens for “testing” purposes during the development of their platform. The defendant admitted that 32 testers did in fact put a total of around $10,000 worth of Bitcoin and Ether, as opposed to the SEC allegation that the company had garnered around $2.5 million in outside investment and was seeking to raise as much as $100 million from its ICO. Judge Curiel concluded that the SEC has failed to prove that investors bought into Blockvest ICO with a reasonable expectation of making a profit based on the company managerial and operational efforts, hence denying its motion for preliminary injunction against Blockvest and its founder. What Does the Court Decision Imply for XRP? In fact, Ripple’s centralized nature has been a controversial point when it comes to an eventual ruling of XRP, its native token, as a Security vehicle by the SEC, besides the confidence shown in several occasion by the company’s representatives and spokesmen on XRP not being as such. In fact, SEC officials reiterated that decentralized digital assets wouldn’t be classified as securities to which Ripple claimed XRP’s existence as not hinging on the existence of Ripple Labs. The company has already received a $450,000 fine in a civil enforcement action back in 2015, for selling XRP without prior registering with the Financial Crimes Enforcement Network (FinCEN), and without implementing a proper AML procedure. However, according to Ripple, the Howey test used by the SEC to judge whether an asset is a security or not, would undeniably deem XRP not to be one. Ripple explains that XRP holders have no rights within the company and that XRP tokens doesn’t represent shares in Ripple or entitle holders to dividend payouts. The company further underlines that it has never claimed XRP value would increase, undermining the criteria of “expectation of gain out of the efforts of a third party,” a fundamental pillar of the Howey test. Hence, the Judge’s decision on the particularity of proving the “expectation of gain” could be significant in what it used to look like a strong case against Ripple. Next articleWhy Was Coinbase’s OTC Crypto Trading Launch a Quiet Affair?